The following column appeared in the latest print issue of Fortune. • 310 M&A deals worth $43.5 billion. • In the U.S., 93 M&A deals worth $26 billion, according to Dealogic. Term Sheet highlighted 89 venture deals, 98 M&A deals, 17 IPOs and 15 new funds. We discussed SoFi’s IPO plans, being “a cool girl,” Benchmark (not) selling its Uber shares, Snap’s latest M&A plans, Silver Lake’s long-hold strategy with Dell, “tourist capital” in venture, women supporting women, and the obsession with IPO pops. • How Tata’s new chairman plans to fix India’s biggest company. • Cryptocurrency gets its biggest test yet. • 5 best Chinese stocks to buy now. • Fortune feature: How Lyft could defeat Uber. • How a second-place company could be a winner. Another harassment story from 500 Startups. Shyp “refocusing” on profitability. FTC probe into Amazon discounting. Amazon’s new social network. Tech stocks aren’t in a bubble, but the overall stock market might be. Why Deloitte got rid of its diversity groups. China’s censors are coming for your favorite sitcom. What happens inside a PR crisis war room. Interim CEO Barbie. • Betterment, a New York-based online financial advisor, raised $70 million in funding, which is an extension of last year’s Series E round. Kinnevik led the round, and was joined by investors including Bessemer Venture Partners, Menlo Ventures, and Francisco Partners. • PebblePost, a New York City-based provider of programmatic direct mail solutions, raised $47 million in Series B equity and debt funding from investors including RRE. • Amphora Medical Inc, a Minneapolis-based developer of medical devices to treat overactive bladder, raised $35.5 million in Series B funding. Longitude Capital and Boston Scientific Corporation led the round, and were joined by investors including HBM Healthcare Investments, F-Prime Capital Partners, and Baird Capital. • Graphcore, a U.K.-based machine intelligence company, raised $30 million in Series B funding. Atomico led the round. • Fox Rent A Car Inc, a Los Angeles-based rental car company, raised $25 million in funding. Investors include NewSpring, Kemper Corp, and Star Mountain Capital. • StackRox, a Mountain View, Calif.-based cybersecurity startup, raised $14 million in a Series A funding, according to Reuters. Sequoia Capital led the round. Read more. • Arzeda, a Seattle-based protein design company, raised $12 million in Series A funding. OS Fund led the round, and was joined by investors including Bioeconomy Capital, Sustainable Conversion Ventures and WRF Capital. • SkySafe, a San Diego, Calif.-based anti-drone device manufacturer, raised $11.5 million in Series A funding, according to TechCrunch. Andreessen Horowitz led the round. Read more. • Integrate, a Phoenix-based provider of demand orchestration software, raised $8 million in Series D funding. Iron Gate Capital, Foundry Group and Forte Ventures led the round, and were joined by Comcast Ventures, Liberty Global and Chestnut Street Ventures. • Dote, a San Francisco-based mobile shopping startup, raised $7.2 million in funding, according to TechCrunch. Lightspeed Venture Partners led the round. Read more. • Genicon, an Orlando, Florida-based medical device maker, raised $6.6 million in funding. Investors include Rand Capital, Advantage Capital and Coastal Enterprises. • EquityZen Inc., a New York-based FinTech firm that operates a secondary marketplace for company-approved transactions in pre-IPO stock, raised $6.5 million in funding. Draper Associates led the round. • TickSmith, a Montreal-based provider of big data applications for capital markets, raised C$2 million ($1.6 million) in funding from Illuminate Financial Management LLP. • Principle Capital agreed to acquire Camtek (Nasdaq:CAMT), an Israel-based printed circuit board business, for $35 million. • Permira bought a stake of at least 10% in Klarna, a Sweden-based e-commerce payment solutions provider, for $250 million, according to the Financial Times. Read more. • Blackstone and CVC Capital Partners bid 2.9 billion pounds ($3.7 billion) for Paysafe Group, a U.K.-based payments processing company, according to Reuters. Read more. • Apposite Capital acquired Swanton Care & Community Ltd, a U.K.-based provider of residential and supported living care for adults with complex learning disabilities, mental health disorders and acquired brain injuries. Financial terms weren’t disclosed. • Parthenon Capital Partners recapitalized eTix, a Morrisville, N.C.-based web-based ticketing service provider for the entertainment industry. Financial terms weren’t disclosed. • Black Bay Energy Capital recapitalized ADS Services, a provider of critical pressure control equipment and services in the Permian Basin. Financial terms weren’t disclosed. • Eyeconic Vision Partners, a portfolio company of Cortec Group, acquired Swagel-Wootton Hiatt Eye Center, an Arizona-based operator of two clinics and one ambulatory surgery center focused on treating ophthalmic conditions. Financial terms weren’t disclosed. • EYSA, which is backed by Portobello Capital, acquired P3 Global Management, a New York-based smart city developer. Financial terms weren’t disclosed. • Seaport Capital acquired Keg Logistics LLC, a Denver-based keg management provider. Financial terms weren’t disclosed. • Baidu Inc and JD.com will join Tencent Holdings to invest about $12 billion into China Unicom, a Hong Kong-based telecommunications company, according to Reuters. Read more. • Saba Aparcamientos and Macquarie have submitted final offers for Empark, a Spain-based parking space management company, valuing it at 900 million ($1 billion) to 1.2 billion euros ($1.4 billion), according to Reuters. Read more. • Spirit Realty Capital Inc (NYSE:SRC) is considering spinning off some of its real estate, including its Shopko store properties, a Green Bay, Wisc.-based general merchandise store chain operator. Read more. • ImageRights International acquired Image Witness, an Australia-based image search company. Financial terms weren’t disclosed. • Rapid7 acquired Komand, a Boston-based security orchestration and automation platform provider. Financial terms weren’t disclosed. • Hojeij Branded Foods, a portfolio company of Morgan Stanley Private Equity, acquired Vino Volo, a San Francisco-based airport wine bar chain. Financial terms weren’t disclosed. • Anheuser Busch InBev (ENXTBR:ABI) is acquiring Hiball, a San Francisco-based producer of energy drinks, according to Reuters. Financial terms weren’t disclosed. Read more. 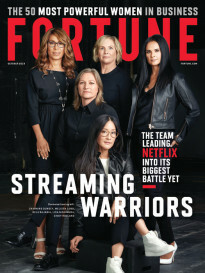 • Accord Financial (TSX:ACD) made an investment of an undisclosed amount in BondIt Media Capital, a Santa Monica-based film and television financing services provider, according to Variety. Read more. • Freshworks acquired Joe Hukum, an India-based chatbot platform developer that, according to TechCrunch. Read more. • ADT, the home-security company backed by Apollo Global Management, is reportedly preparing for an IPO, the Wall Street Journal reported citing people familiar with the matter. The IPO could come around the end of this year, valuing the company at over $15 billion. Apollo previously acquired ADT for nearly $7 billion in 2016. • ZTO Express, a Chinese courier that went public on the NYSE in 2016, is being sued by the city of Birmingham’s pension fund. The fund alleges that ZTO and its underwriters, Morgan Stanley and Goldman Sachs, failed to do adequate due diligence, Reuters reports. ZTO’s stock is down about 4.5% in pre-market trading. The company commands a market value of about $11 billion. • Ancestry.com, the Lehi, Utah-based genealogy website that filed for a confidential IPO in June is reportedly close to hiring banks to lead the deal, Bloomberg reports citing people with knowledge of the matter. The bank is said to be working with Morgan Stanley, Goldman Sachs, and J.P. Morgan. The company could be valued at over $3 billion post-IPO. The company is backed by Silver Lake and GIC Private. Terms of the offering have not yet been disclosed. • PetIQ, an Eagle, Id.-based pet medication maker, said it plans to raise $100 million in an offering of 6.3 million shares at $16 a piece. The company, which booked losses of $3.4 million on revenue of $200.2 million on 2016, previously said it planned to offer 5.7 million shares between $14 to $16 a piece. PetIQ is backed by Eos Funds, Labore et Honore, Porchlight Entities, True Science Founders, and NBTS Holdings. The company plans to list on the Nasdaq as “PETQ.” Exact terms of the IPO, being led by Jefferies and William Blair. • One Equity Partners agreed to sell East Balt Bakeries, a Chicago-based producer of buns, bagels, English muffins, and tortillas, to Grupo Bimbo for $650 million. • Amazon acquired Graphiq, a Santa Barbara, Calif.-based data visualization company, for about $50 million. Graphiq had raised about $32 million in venture funding from investors including Kleiner Perkins Caufield & Byers and Pritzker Group Venture Capital. 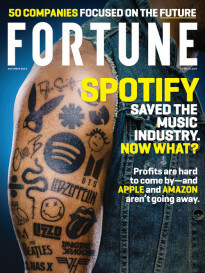 Read more at Fortune. • PPG agreed to acquire The Crown Group, a Warren, Mich.-based provider of coatings applications. The sellers were High Road Capital Partners and Charter Oak Capital Partners. Financial terms weren’t disclosed. • Industrial Opportunity Partners agreed to sell Kuss Filtration Inc, a Findlay, Ohio-based manufacturer of air and liquid filtration products, to GVS. Financial terms weren’t disclosed. • Sun Capital Partners sold Creekstone Farms, an Arkansas City, Kansas-based provider of beef and pork products. The buyer was Marubeni Corp. Financial terms weren’t disclosed. • Graphite Capital acquired Random42, a London-based medical animation producer, from Vespa Capital. • Twin Brook Capital Partners, a Chicago-based private equity firm, raised $1.6 billion for its AG Direct Lending Fund II. • Novacap, a Canada-based private equity and venture capital firm, raised $840 million for its fifth fund, Novacap TMT V.
• Fireman Capital Partners, a Waltham, Mass.-based private equity firm, raised $200 million for its third fund, according to an SEC filing. • Highlander Partners LP promoted Ben Slater to vice president. • Fireman Capital Partners promoted Chris Akelman to principal and Ekta Sharma to vice president. • Patrick Gilligan and Xavier A. Gutierrez joined Clearlake Capital Group as managing directors. Colin Leonard has been named partner, James Pade has been named a principal, and Paul Huber and Nate Mejías have been promoted to vice president.